Limited Time Offer. 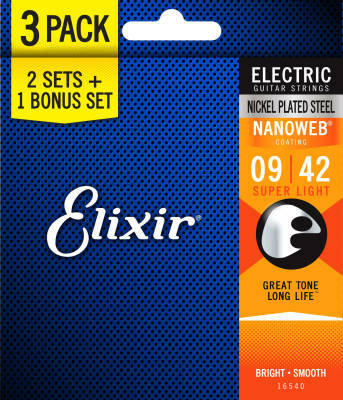 3 sets for the price of 2 on Elixir Strings' popular Electric Nickel Plated Steel Super Light Strings with NANOWEB Coating. 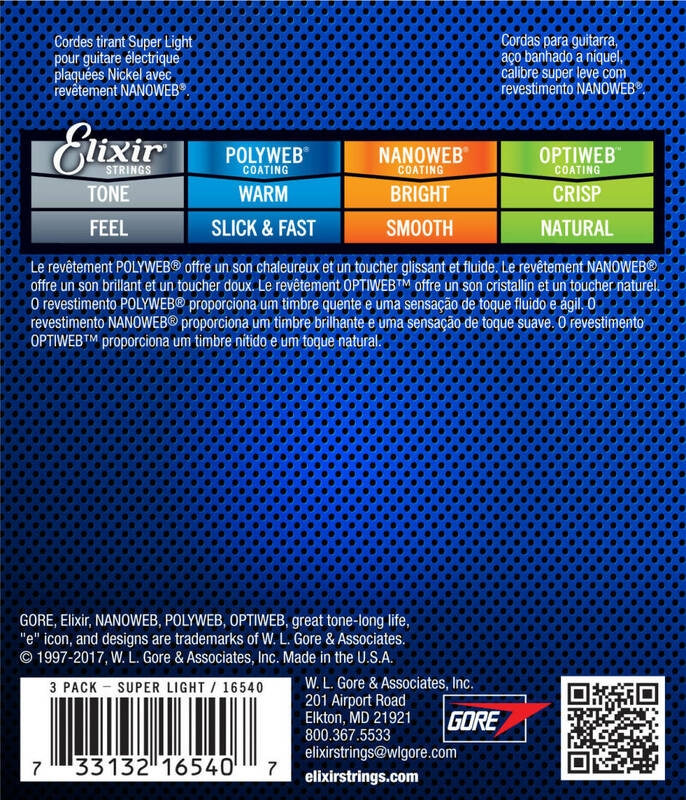 Stock up on strings now so you always have some on hand. Electric Elixir Strings with NANOWEB Coating deliver the presence, punch, and personality of traditional electric guitar strings but with extended tone life, consistent performance and greater playability. With less hassle and expense of frequent string changes, you enjoy more time making music. 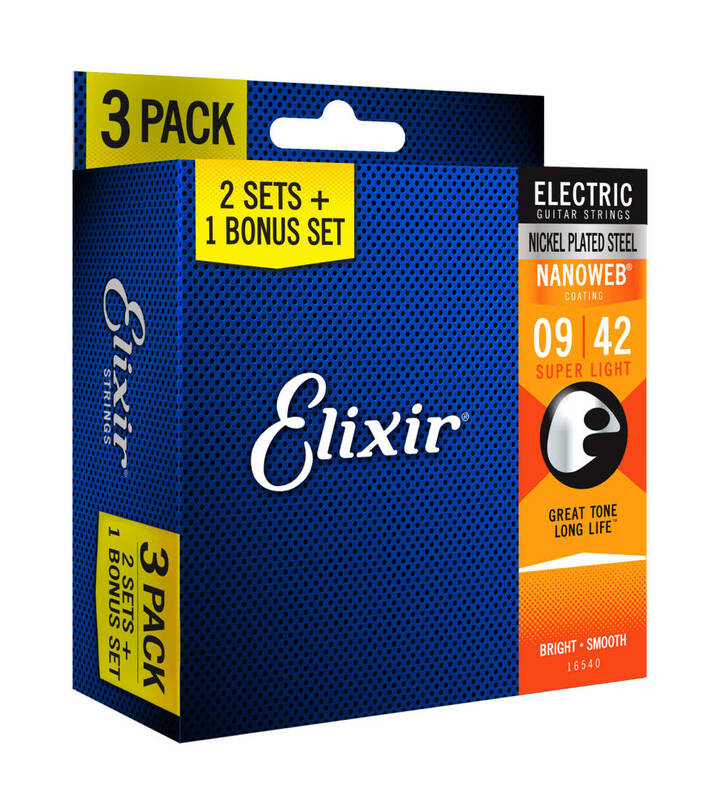 Elixir Strings is the only brand to coat the entire string, protecting not only the outer string surface, but also the gaps between the windings. The Anti-Rust Plated Plain Steel Strings also resists tone-deadening corrosion, ensuring longer life for the entire set.